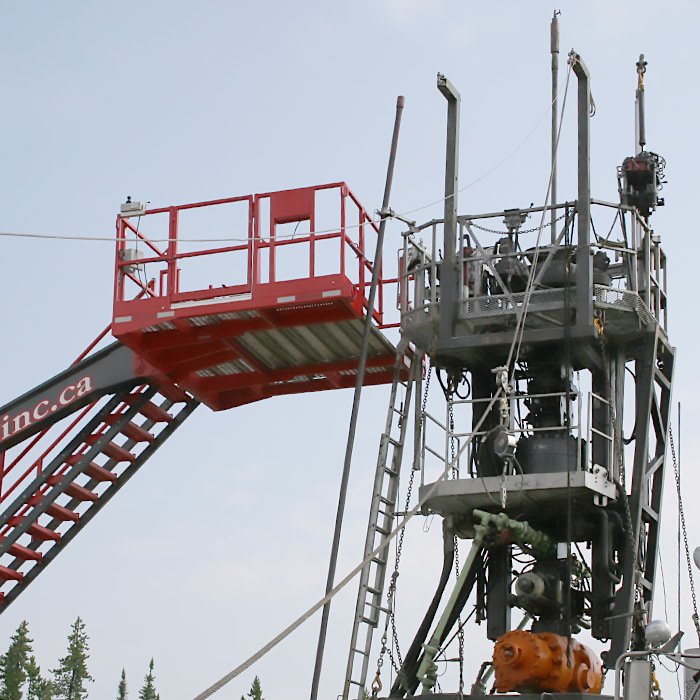 A major oil company decided to switch to propane fracturing on multi-zone wells. After 3rd party engineering of wellbore design, it was determined 4-1/2 casing was under loads of up to 95% of its tensile strength during fracs. Decisions were made to run 2-3/8 frac strings to isolate the top 550m of casing, snub out string and run composite plugs; re-run the frac string and continue this procedure 6 times per well. All previously drilled wells would be completed in this fashion, and all new wells would be cased in heavier premium pipe. Pipe was run at pressures between 4,000 – 7,000psi of liquid propane. After initial operations, pipe was washing, so new pipe was used for fracs. After all zones were completed, the snubbing units were used to mill out the composite plugs and land production strings.